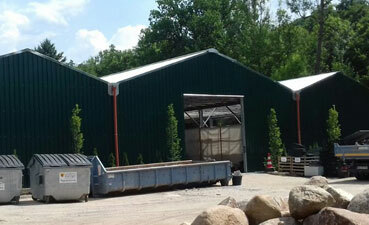 Poppen lightweight halls are an ideal solution for your requirements. These halls can be simple canopies for sensitive goods or thermally insulated versions. 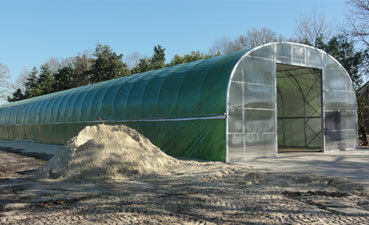 Poppen round arched halls are an ideal solution for your requirements. These systems are available as simple canopies for sensitive goods to versions with sectional doors and truck tarpaulin. 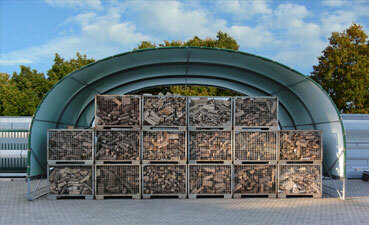 Need an animal shelter, straw and hay storage, a silo or a material warehouse? Then we are the right partner for you! Our enclosures that can be equipped with various roofing materials will optimise your cost-benefit factors.